In celebration of National Dog Day, we wanted to remind you about the many days out you can enjoy with your waggy-tailed chum when you visit the beautiful West Country. 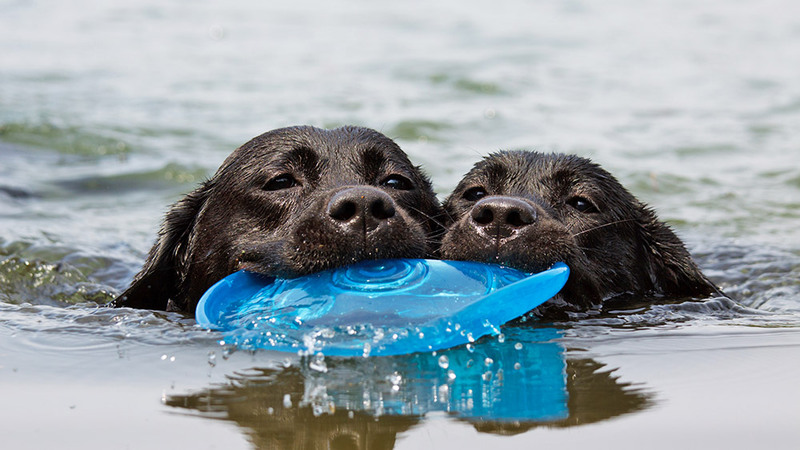 Whether you’re paddling the foreshore with your pug or out for a woodland ramble with your retriever, here in the South West we pride ourselves on our canine hospitality and our array of dog-friendly activities. The West Country is blessed with some of the finest beaches in the British Isles, many of them welcoming dogs all year round. 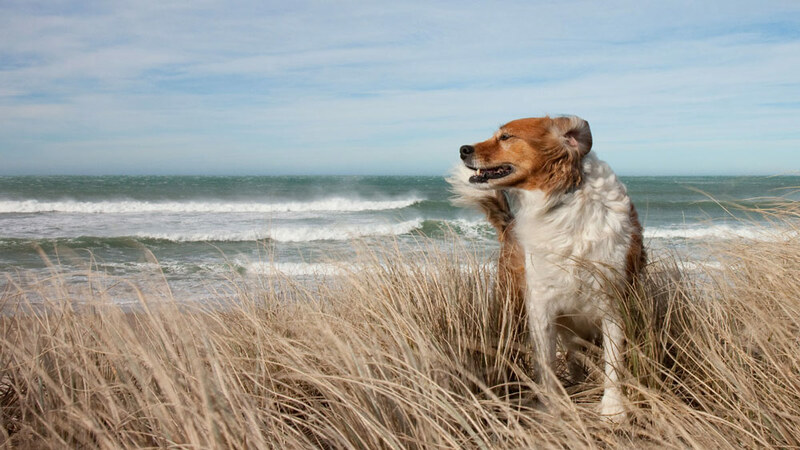 We love seeing our guests’ holiday photos and video clips of their dogs having the time of their lives on the beach; digging endless holes in the dunes, the pitter-patter of paws scampering across wet sand, those impressive airborne leaps for Frisbees and the excited barks as they toy with the surf. Here are Ten of Devon’s most popular Dog-friendly Beaches for you to enjoy with your pooch. Our gorgeous woodland paths offer exhilarating days out for dogs who can weave along tracks and trails ‘till their heart’s content. Springtime is always one of the most spectacular seasons for woodland walks, an opportunity to see blankets of bluebells, clusters of wood anemones and red campion and spectacular fox glove glades. After your hound has finished hurdling tree stumps and ducking branches, it’s time to find a babbling brook for a well-deserved cool down. Here are some of the West Country’s beautiful bluebell woods for you to explore. Diving into plunge pools and doggy-paddling in mill ponds, our beloved West Country riverways rush downstream from the uplands of Dartmoor through wooded valleys to meet the coastline’s brackish estuary waters. These wending waterways offer leafy strolls and tranquil riverside glades where your dog can enjoy a paddle and make a splash in the gleaming freshwater. Here’s a selection of scenic Devonshire river walks for you and your dog to em’bark’ upon. The National Trust is the custodian of some of the most cherished beauty spots in the region and has always extended a warm welcome to well-behaved dogs. 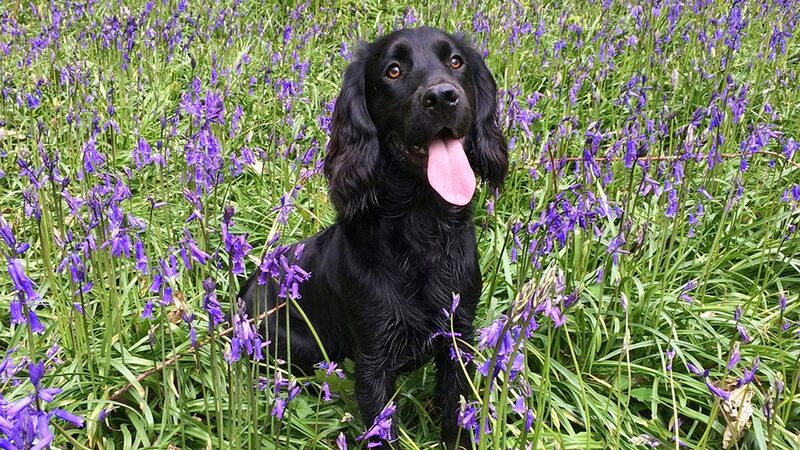 From stunning country gardens to majestic coastal stretches, enjoy your right to roam some of the loveliest corners of the West Country with your doggy-companion by your side. It’s the longest trail in the British Isles spanning an impressive 630 miles from Somerset’s Minehead all the way round the Cornish and Devonshire peninsula to the sparkling waters at Poole Harbour in Dorset. Every year, thousands of walkers trek various different stretches of this much-loved coastal path with their dogs either in tow or leading the way. 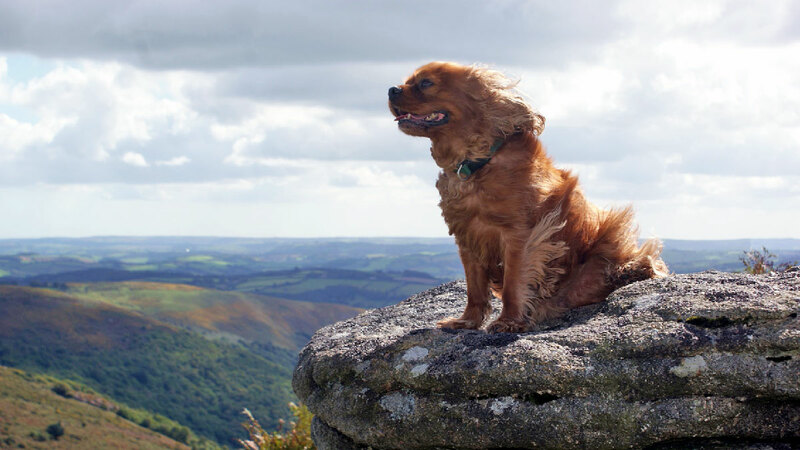 From the ancient granite tors of Dartmoor to the resplendent oaks of the Hampshire New Forest, the West Country’s national parks provide dog walkers with mile upon mile of breathtaking countryside, gateways to the great outdoors. Escape the crowds and head for the hills or follow the deep woodland paths for some serenity and solitude (the kind of solitude that includes your four-pawed pal of course). Five of Dartmoor’s most Legendary Tors, and New Forest Walks that will make your heart sing. Nowhere upholds the West Country’s reputation for good hospitality and friendliness more heartily than the region’s traditional pubs. The vast majority of our countryside inns extend their warm welcome to doggy-patrons who can enjoy a refreshing drink from the garden water bowl after a summertime stroll or curl up by the open fire for a snooze during the parkier months. They can expect plenty of attention, and of course, the odd stray chunky chip or titbit which always goes with the territory. And finally, let’s not forget Toad Halls’ long and impressive list of dog-friendly cottages. Whether you’re looking for a thatched cottage hideaway by the river or a handsome town house with harbour views, as one of the South West’s leading providers of holiday accommodation and with hundreds of stunning dog-friendly dwellings throughout Devon, Cornwall, Somerset, Dorset and the Hampshire New Forest, we can help find your ideal setting.